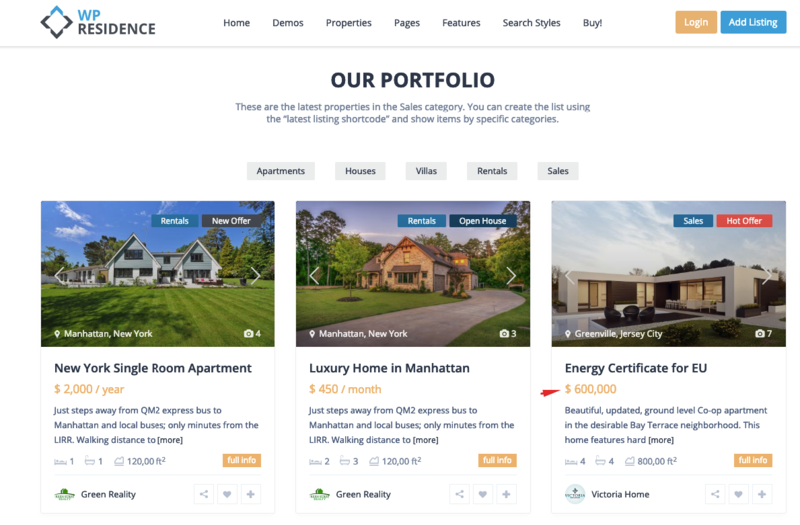 The theme has 1 main currency and 1 price per property only. 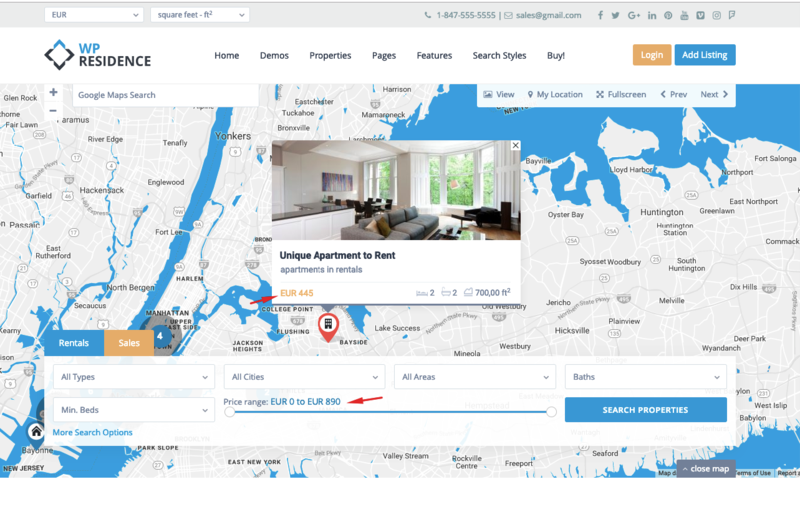 There is no option to have different prices for each property (like price in Euro and price in USD). 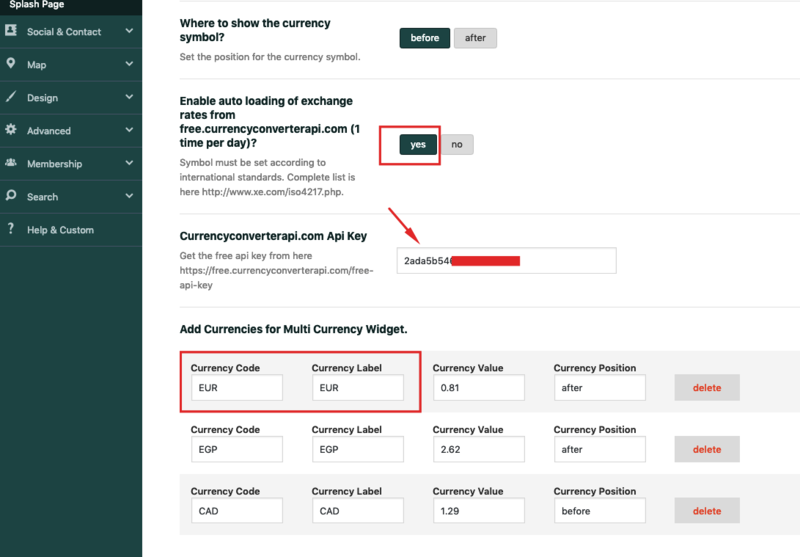 If you want to use the multi-currency feature, first add a default currency in the admin options. 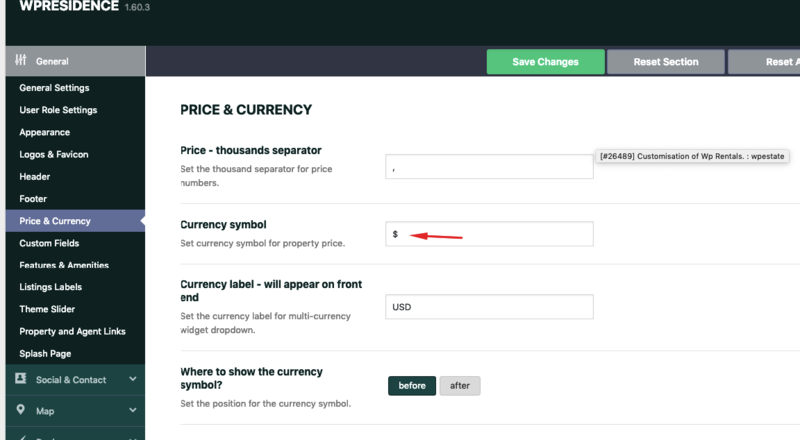 Add the new currency you can also add currency value. This value will be used to transform the price from the main currency in this new currency. For ex 1 EUR = 0.73 x 1 GBR . (0.73 is the GBR). 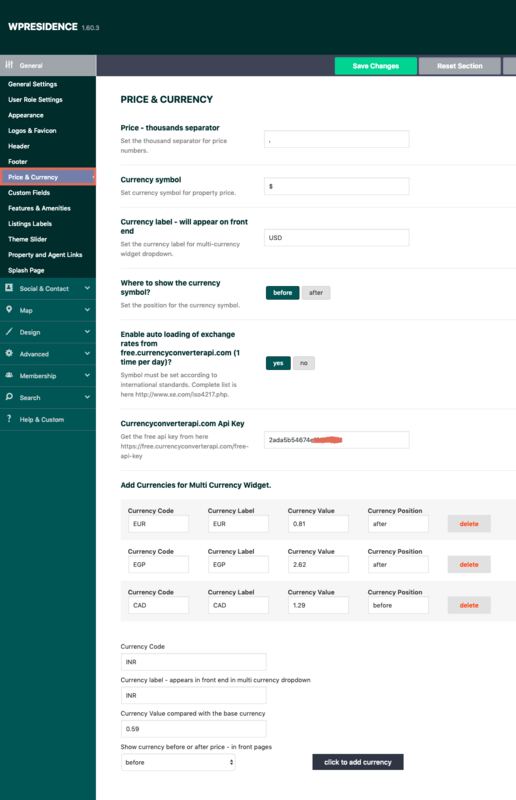 Also, since the currencies values can vary from day to day, we create a cron job that runs 1 time per day and takes the financial data from Currencyconverterapi to auto fill these value forms in Theme Options. 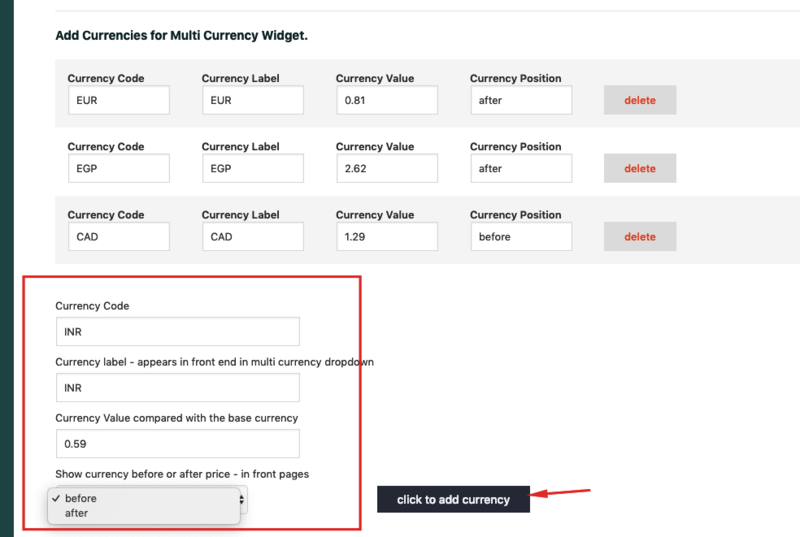 For multi-currency we use a widget with dropdowns – http://help.wpresidence.net/article/multi-currency-widget/ When a user changes the currency from the dropdown widget, we read the currency value you just set and convert the original price. 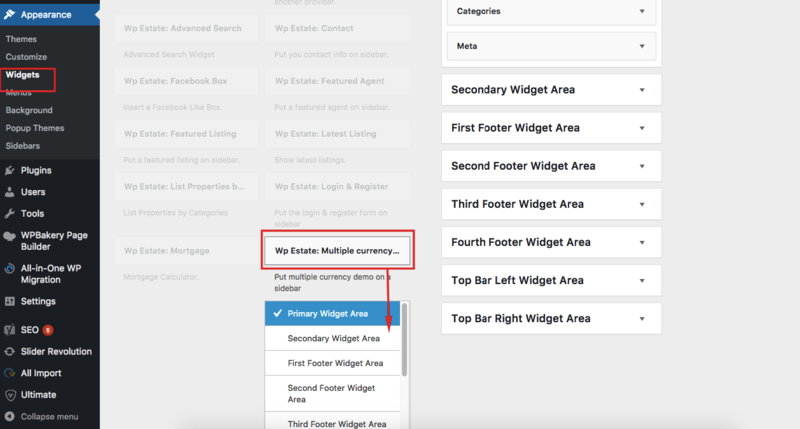 Please note that the user currency options are saved as cookies on user computer. Some cache plugins may interfere with this mechanism. Then save the currencies settings again and should solve the problem.